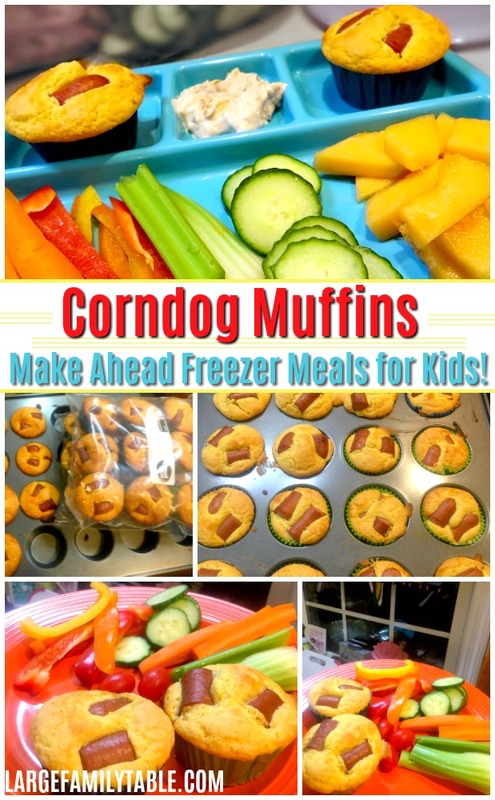 My kids scarfed down these corndog muffins last time I made them as a make ahead freezer meal! I piled their plates with their choice of fresh veggies and dip, but the corndog muffins were the real winners. There are all kinds of make ahead freezer meals for kids out there. I like to cook in bulk various muffins for the freezer to make meals that my herd of kiddos will love. 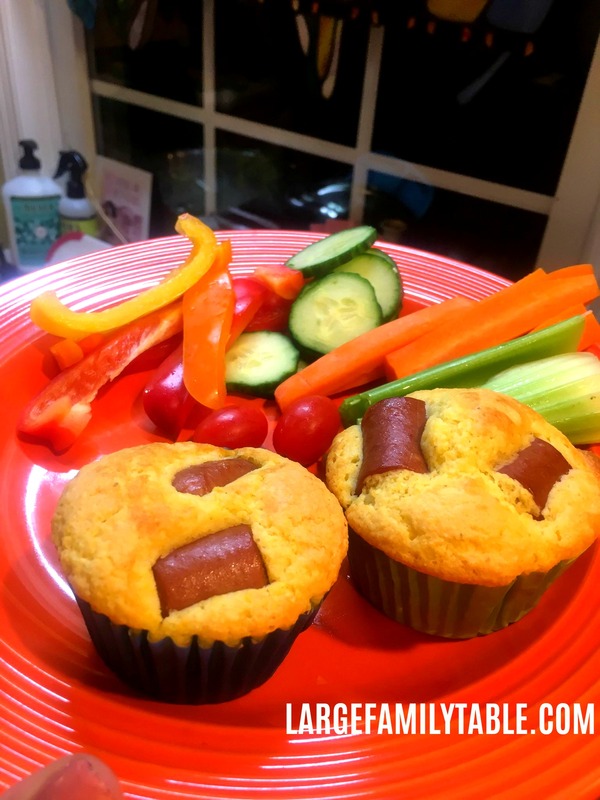 I made these corndog muffins as a quick homeschool lunch option when I had a trip out of town a few weeks ago and my husband was home running the house. During my last freezer cooking day I made 4 dozen (no, not nearly enough, lol!) 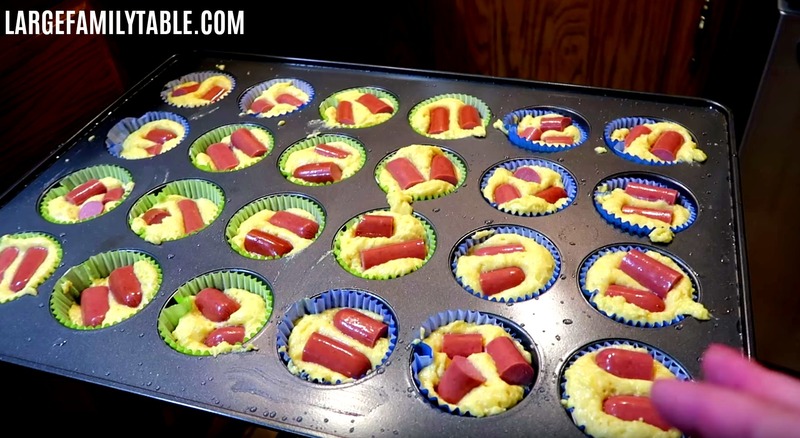 Corndog Muffins. We also made two types of freezer sandwiches and burritos for the freezer. 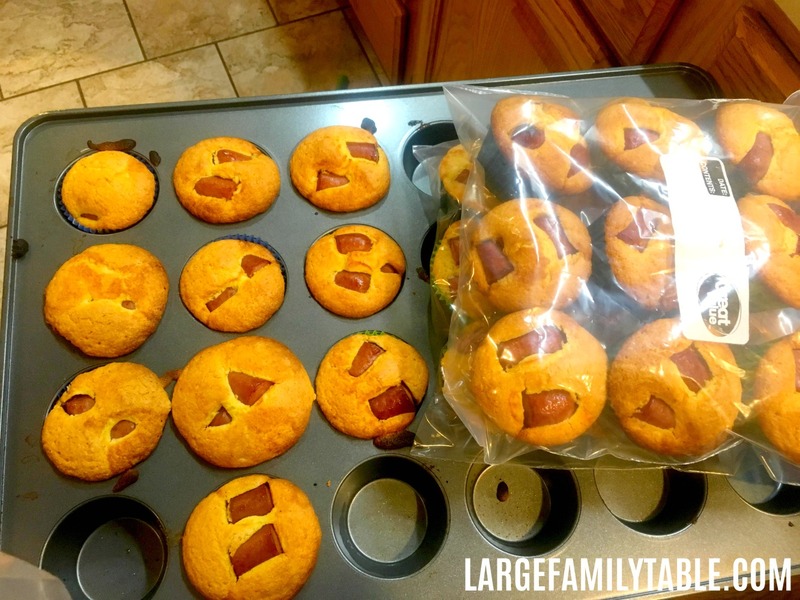 You can see the full lunch freezer cooking day here with make ahead freezer meals for kids for more ideas to feed your people if that’s helpful. 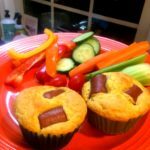 When I made these Corndog Muffins I used up 8 boxes of Jiffy cornbread mix I had in my pantry. I was also out of milk and used almond milk since it was what I had on hand. I’ve also had times where I’ve had to use water and these corndog muffins still turned out well. *Mix corn muffin mix well in large metal mixing bowl. *Fill muffin wrappers 3/4 full with corn muffin mix. *Slice 12 hotdogs into 4 slices each – you’ll have 48 mini hotdog pieces. *Place two mini hotdog pieces in the middle of each corn muffin. *Set out frozen bag of Corndog Muffins from the freezer into the refrigerator the night before you need them. *Warm muffins in microwave when serving. Click here to watch 2 Make Ahead Freezer Meals for Kids | Corndog Muffins & Bean Burritos on YouTube! Where is the recipe for the burritos please?